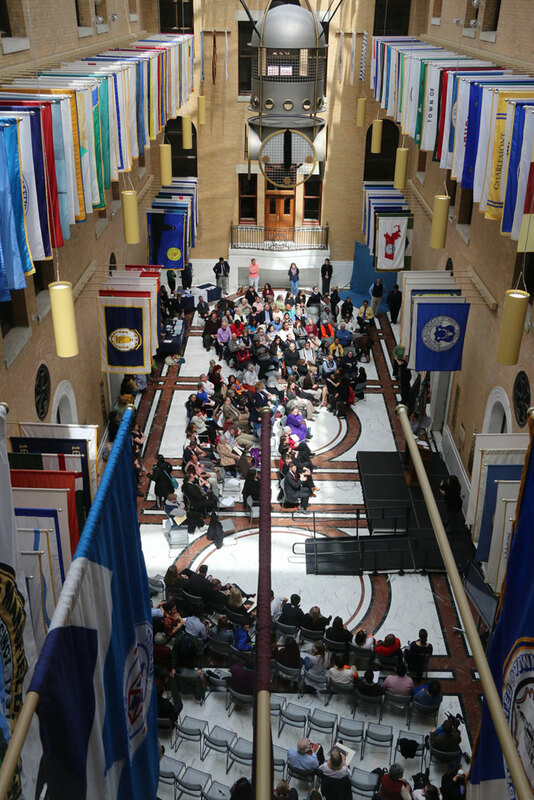 Almost 250 people gathered at the Massachusetts State House on April 14, 2015 for Deaf and Hard of Hearing Constituents’ Day. 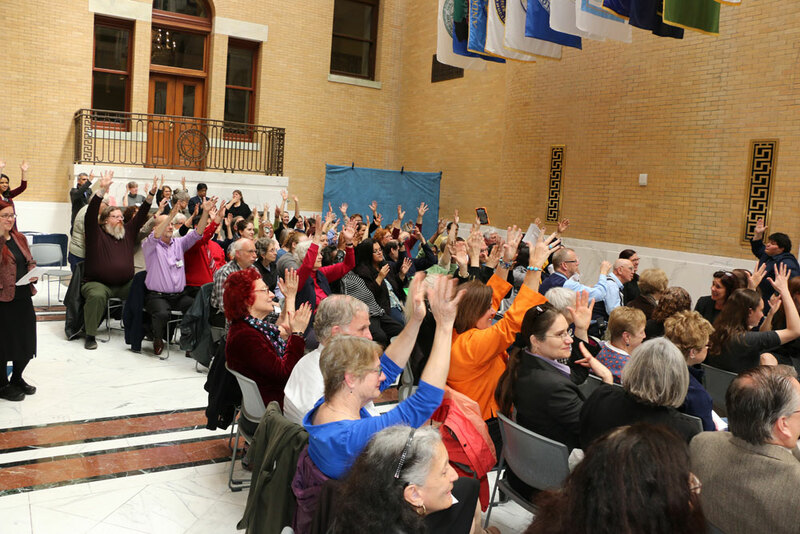 It was an exciting moment for Advocates Deaf Respite program as they proudly accepted the 2015 Massachusetts Commission for the Deaf and Hard of Hearing Outstanding Organization award. 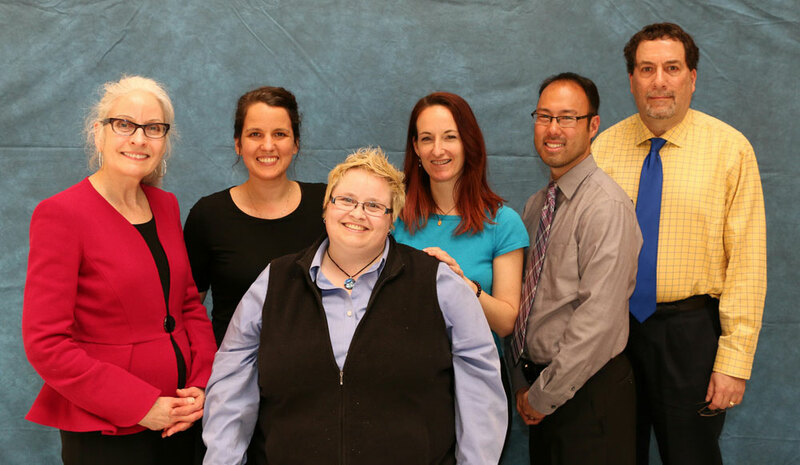 Advocates Deaf Respite team was recognized for its compassionate work, commitment, and dedication to Deaf cultural competency. 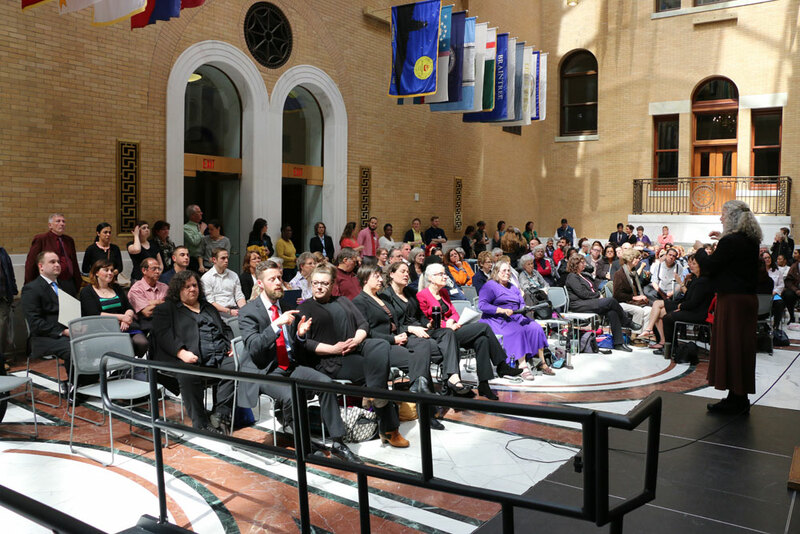 In August 2013, Advocates opened the state's first and only Deaf Respite program which provides short-term supports for deaf individuals experiencing mental health crisis. The program is a major step in filling a gap in supports for deaf, hard-of hearing, and deaf-blind adults with psychiatric needs. "Too often, deaf people have been hospitalized for mental health issues simply because there aren't alternatives in the community. Others end up staying in the hospital much longer than needed because transitional programs in the community haven't existed," according to Dara Baril, Director of Clinical Services for Advocates Deaf Services. At Advocates Deaf Respite, treatment is personalized to meet each person's communication needs and recovery goals within a caring and supportive community environment. Participants work with staff to access resources and put in place the supports they need to successfully transition back to the community. "All aspects of the program are designed first and foremost to meet the cultural, communication, and therapeutic needs of deaf individuals," says Brenda Miele Soares, Director of Psychiatric Rehabilitation Services at Advocates. To learn more about the Deaf Respite program, contact Brenda Miele Soares at DeafInquiries@Advocates.org or 508.628.6642.